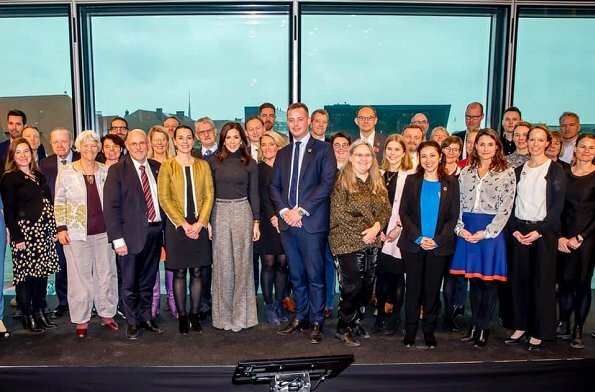 Today, on January 31, 2019, at BLOX which is the headquarters of Danish Association of Architects, Crown Princess Mary attended a meeting with the Danish Parliament's (Folketing) cross-political networks for the global goals and the 2030 panel. 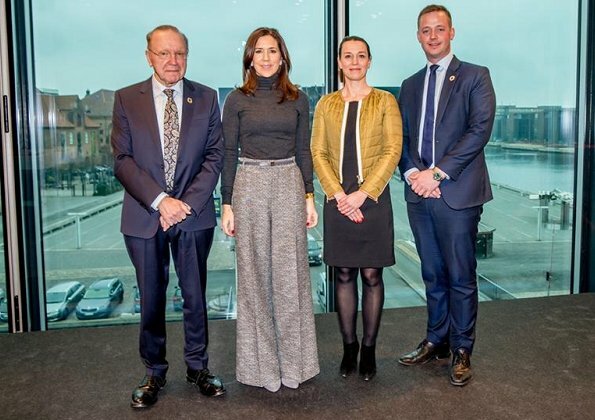 The Parliament's cross-political networks for UN Global Goals aim to support UN's 17 global goals for sustainable development. 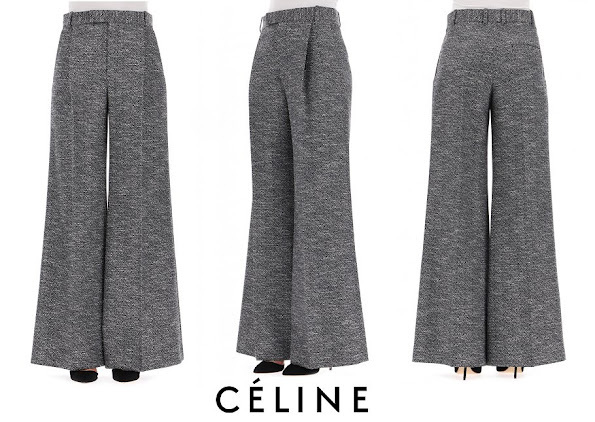 I love the pants, but their high rise makes a tucked-in top look out of proportion. I hope we'll see Mary pair these beautiful trousers with some tops worn loose, in the future. She really is in black-and-gray mode these days. Horrid, unbecoming trousers. A rare fail. I don't like the trousers, although they are fitting her nicely. 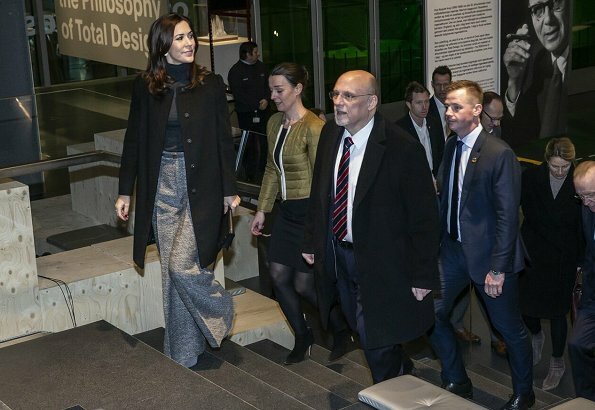 In fact i wonder whether the jacket for the women award ceremony is not intended to be paired with these trousers. Looking then too grey?